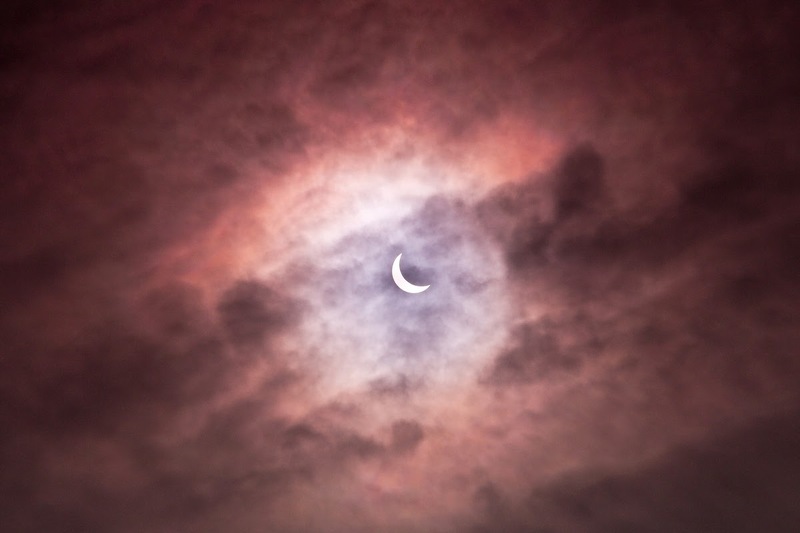 There was a partial Eclipse of the Sun in the UK this morning. 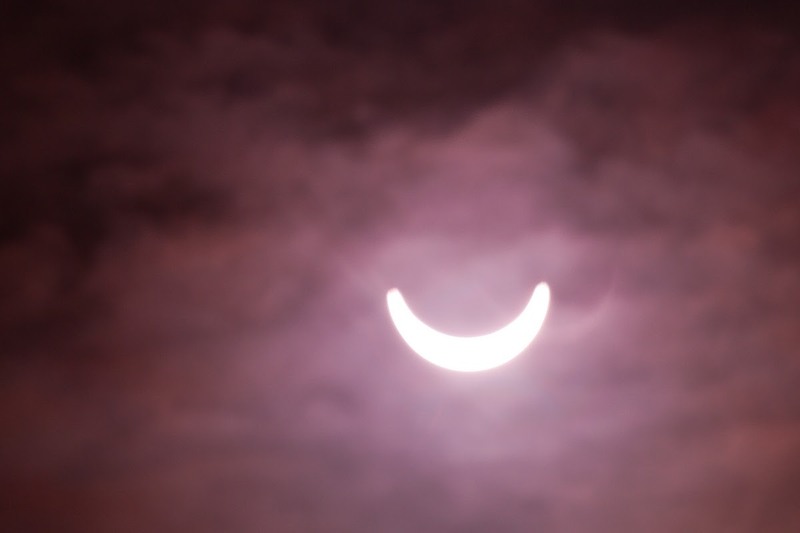 It started at about 08:40 where I am in the Midlands and reached it's peak at 09:30.. About 85% of the sun was obscured. The weather was hazy sunshine, but I still needed a couple of Neutral Density filters on my camera to get the shots. The filters imparted a mysterious purple tint to the blue grey sky.